This is quite a delicious dish but I need to find better fish. I got frozen Pacific cod fillets from Costco and they just don’t have a lot of flavor. I guess next time I will go over to Whole Foods and get the real thing. The chickpea purée is the best part of this dish. It is creamy, lemony, and garlic-y. I see that the parsley sauce looks a bit lurid in the photo, a good choice for a pre-Halloween dinner! 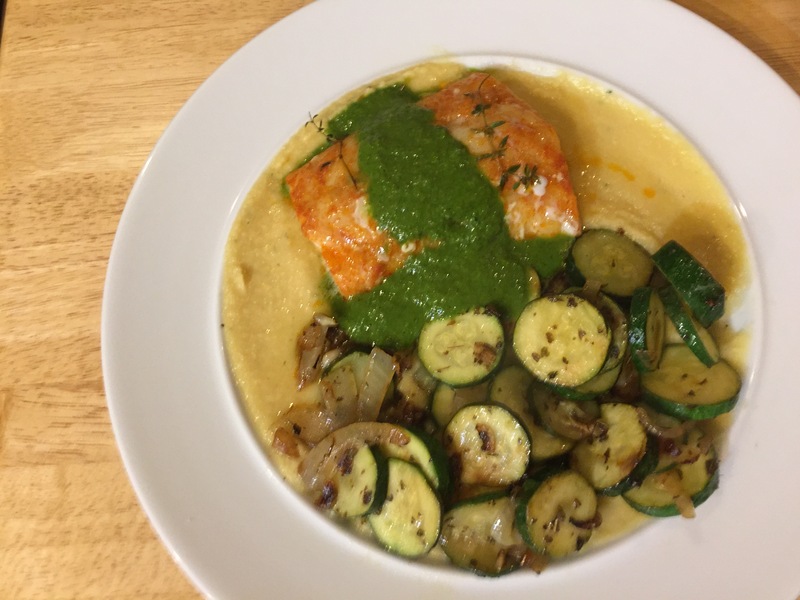 This entry was posted in Fish, Legumes, pescatarian, Vegetables and tagged chickpeas, Pacific cod, parsley, zucchini. Bookmark the permalink.